So, some of you offered to help out with some of the costs of running mastodon.radio. So, I&apos;ve set up a @Liberapay thing, should you want to throw money at me / mastodon.radio&apos;s hosting costs. To be clear, there is ABSOLUTELY NO EXPECTATION OR REQUIREMENT TO DO THIS. The server has now got more storage available, it will keep us going for a while (it&apos;s taken this long to find up the last 18Gb), which will give me time to get something more permanent organised. Every month I know it will take longer than I expect, and even then, it still takes longer than I expect! If you&apos;d like to toot an introduction, so we can get to know you, that would be great! Make sure to use the "introductions" hashtag, and I&apos;ll give you a retoot to help get you started. OK, tonight&apos;s task is to edit the @G5BK January newsletter. This involves compiling it from various email submissions, using heml (https://heml.io) and producing a HTML email file. About to restart the server, this is the first step in getting more storage space (and RAM!) available. Please join us in 1 hour for the @SDF Amateur Radio Club weekly net. You can find us on Echolink conference *TECHLINK* (9229) or streaming on http://anonradio.net. The net starts at 00:00 UTC. Hi all. I&apos;ve been licensed since 1981, but became inactive due to work and other obligations. I&apos;ve started to getting the bug again, mostly on the digital modes and I watch a lot of YouTube channels on the hobby😁. My main rig right now is a Yaesu 857, but I think an Icom 7300 may be added in the very near future. I&apos;m a software engineer by day. At home I mostly use MacOS and kubuntu Linux. I&apos;m just having a blast learning and playing with all the new stuff. @k1bjf hello and welcome Barry! After failing to get through to them the other day, I got to talk to a human today. He flat refused to even consider letting me have the "new customer only" deals that were starting me in the face on the website. Or offer me any thing, even ONE pound less a month. Ongoing saga of trying to get decent, and reliable, terrestrial TV reception continues today. Previous installments have included deciding the external aerial is too old for modern digital TV, so installing a basic one in the loft. Then having a weak signal which often drops channels when it rains. Then installing a beefy high gain aerial in its place, but still missing some channels. This installment involved refitting the coax connectors and adding a signal booster. I now have 170 channels! @DD5CF_G1ZOS hello and welcome Colin! @robtheobvious hello and welcome Rob! Hello everyone. Been a ham for just over 30 years now (yikes!). The last year I&apos;ve been working mostly FT8 and aiming for 5 band WAS. I&apos;m just about finished with 4 of them, just 1 state left on 17m. 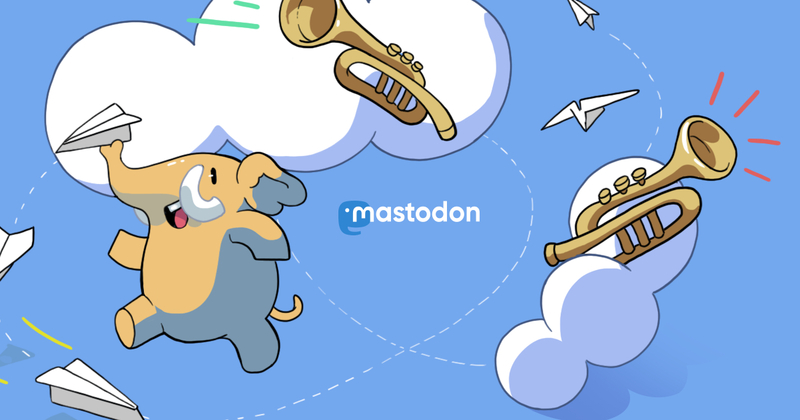 I found out about Mastodon via Nextcloud and their new "social" app. Trying to understand how this all fits together. Finding a radio oriented group is great!